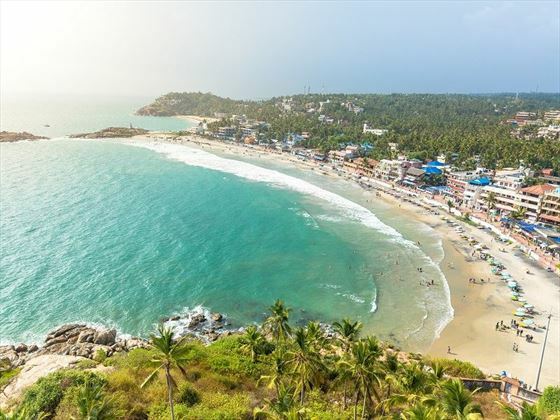 Spanning across thousands of metres of cascading coastline, South India is a lush, tropical part of the country which is adorned by fertile plains, emerald hilltops and glistening waterways. 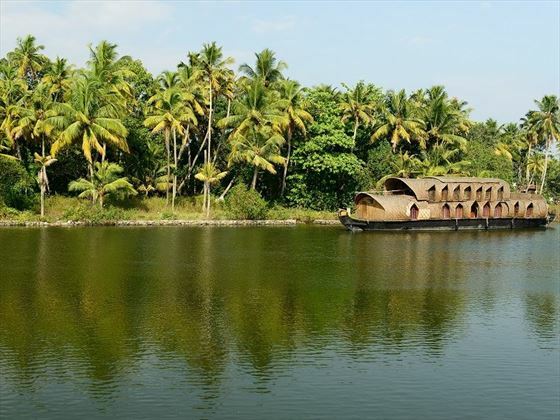 From the foodies’ paradise of Chennai to the scenic coastal town of Kovalam, this immersive 14-night guided tour will allow you to experience the rich culture, fascinating history and traditional practices of this spectacular region, whilst exploring its small rural towns, sleepy fishing villages and aromatic spice plantations. Follow a road which is less-frequented through South India to discover a plethora of breath-taking sights, without sacrificing too many creature comforts, staying in luxury resorts and comfortable hotels along the way. 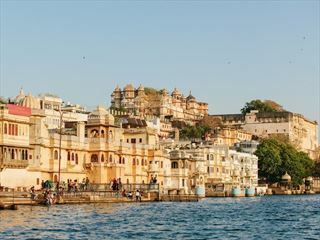 We think this is a wonderful tour for those looking to see a different side of India, which is less visited by tourists, offering a diversity of rich, local culture and utterly spectacular scenery (INT-HHKS). * Please Note that this tour involves multiple visits to temples, so it’s important to wear appropriate clothing that covers the arms, legs and shoulders. Welcome to Chennai, India. Upon arrival at the airport, you will take a complimentary transfer to your hotel. There’s an important welcome meeting at 6pm, where you’ll need to bring your insurance details and next of kin information to provide to your tour leader. If you arrive in Chennai with free time to spare, we recommend visiting some of the local marketplaces and temples. 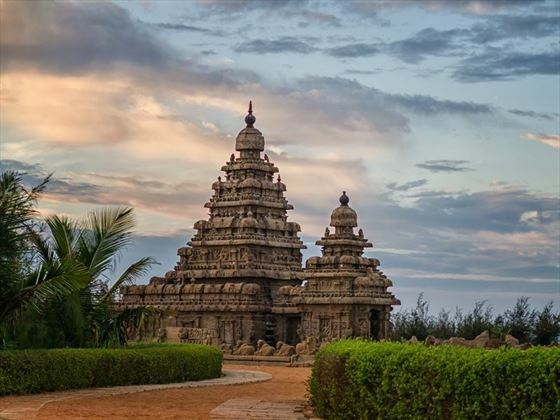 From Chennai, you’ll drive along the scenic East Coast Road to the fishing village of Mamallapuram. Here, you’ll take a guided tour around the town’s laid-back beaches and temples, visiting an incredible 8th-century Shore Temple. You’ll then continue on to the living project of Auroville, which is an intriguing experimental township founded in 1968, home to more than 80 rural settlements and 1,500 residents. From here, travel to Pondicherry in the late afternoon, where your evening is free to spend at leisure. Spend time exploring the European-style town of Pondicherry today, enjoying a walking tour around its local temples, the French Quarter and spiritual community of Sri Aurobindo Ashram. The rest of the day is at leisure. You’ll head to Tanjavar today, taking around 5 hours to get there. Visit the World Heritage-listed Brihadeeswarar Temple, one of the largest temples in India which is over a thousand years old; keep an eye-out for the sacred bull, carved from a single piece of granite. Your day will begin with a 2.5 hour journey to Karaikudi, where you’ll get a taste of Indian village life. After checking-in, take a walk around the village to visit some of the havelis (mansions), whose grandiose architecture is bound to impress, and sample some of the mouth-watering Chettinad cuisine whilst you’re here. Continue on to Madurai today, taking around 2 hours. Here, you’ll wander through the colourful markets and bazaars, and then visit the Sri Meenakshi Temple in the city centre. Still in-use today, the ancient temple is a maze of lamp-lit corridors which lead to shrines where traditional rituals take place. You may also like to explore the National Ghandi Museum (optional, free), dedicated to the life and achievements of the ‘Father of the Nation’ and the leader of India’s fight for independence. Your evening is then free to spend at leisure. Enjoy a day at leisure in Madurai; perhaps visit the Art Museum to see a superb collection of carvings, check out the Tirumali Nayak Palace, or simply relax with a cup of delicious chai. 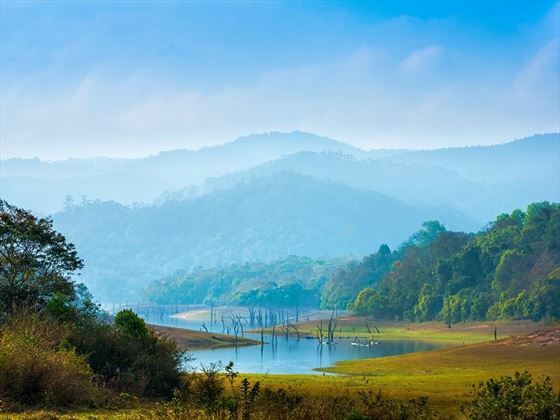 Drive through rubber and pineapple plantations to Thekkady and explore Periyar National Park, perched in the ranges of the Western Ghats. This beautiful area surrounds a picturesque lake, and ambles through wooded hills which overflow in wildlife. This afternoon, take an included tour of a local spice plantation, and if you have time, perhaps attend a demonstration of Indian martial arts at the Kadathanadan Kalari Centre. In the morning, take a guided nature walk in the acclaimed Periyar Wildlife Sanctuary. 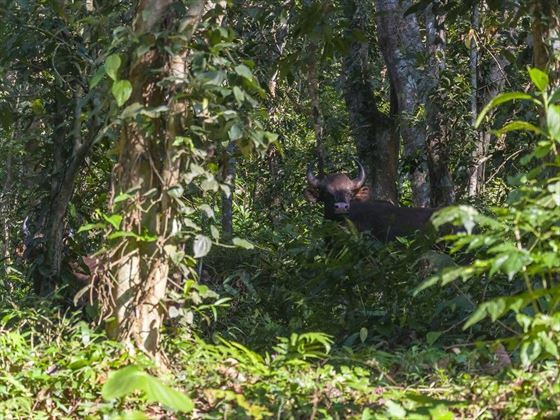 Encounters with animals in the wild are never guaranteed, and this is more of a jungle walk than an animal-spotting tour; however, keep an eye out for tiger tracks, spotted deer or guar – the world’s largest species of buffalo. In the afternoon, unwind with an optional ayurvedic massage (INR700/person), or just unwind in this beautifully scenic area. In the morning, you’ll transfer to Kochi (taking approximately 7-8 hours). 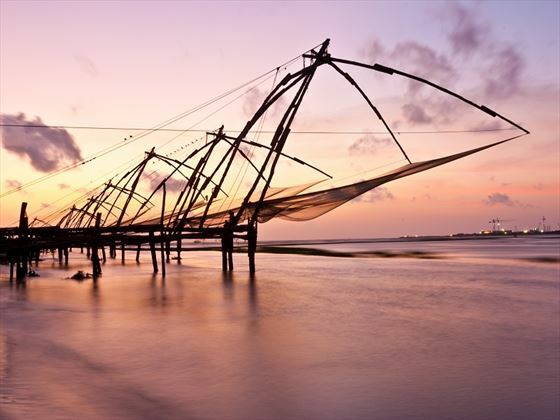 A cultural melting pot of Portuguese, Dutch, Chinese and British influences, Kochi is a beautiful area to explore. Spend your free time on a local boat excursion, or take a picturesque sunset stroll along the beach. After breakfast, your day will begin with a visit to the Dutch Palace, followed by the oldest functioning Jewish synagogue in India, the Paradesi Synagogue. In the evening, witness a classic Kathakali performance – a dramatic dance which combines storytelling with physical technique. Drive from Kochi to the sleepy Kumarkon in the backwaters of Kerala, where your resort is located along the riverside. Take a short backwaters cruise before heading out on a village walk – this is a great opportunity to meet with and chat to the people who live in the backwaters, whilst exploring the picturesque rice fields and lush palm trees of this tranquil setting. 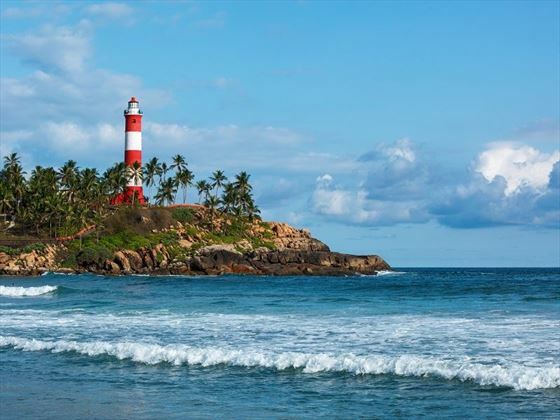 In the morning, you’ll take a 4-hour drive to Kovalam, via Kerala’s capital, Trivandrum. Once a quiet coastal village known for its exports of fresh fish and coconuts, Kovalam is now one of India’s most popular beach resorts. Visit the ancient temple of Attukal Bhagavathy in the afternoon, and if you have free time, explore the old signalling station of Anchuthengu Fort or the 16th-century Koyikkal Palace. Your evening is free to spend at leisure. Enjoy time at leisure in Kovalam today; you could check out Anchuthengu Fort, wander around the village, tuck into delicious, freshly-caught seafood, or simply relax on the beach. Tonight, you could head out with the group for a farewell dinner if you wish. Your trip will come to an end after breakfast, and you’re free to leave the resort at any time. 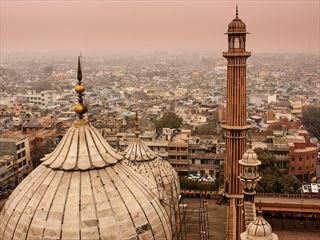 Explore lavish palaces, vibrant bazaars, intricate temples and rich culture on this breath-taking 8-night guided tour of North India, taking in the nation's world-famous sights and glorious cityscapes. 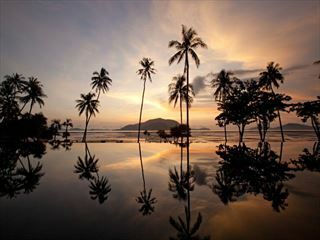 Experience Thailand’s vivid island culture and explore the scenic treasures of the Far East. This luxurious twin centre offers a unique opportunity to travel across two of the country’s most iconic destinations, island hopping from beach to beach.